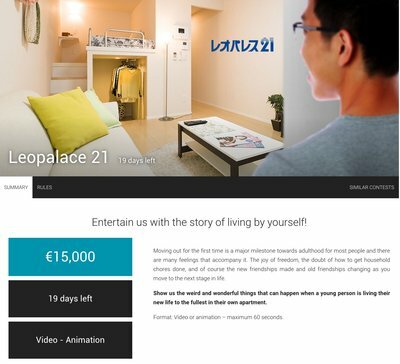 Leopalace 21, a leading apartment rental company in Japan, is challenging eYeka's community to develop attractive videos and share funny stories when young people live alone. 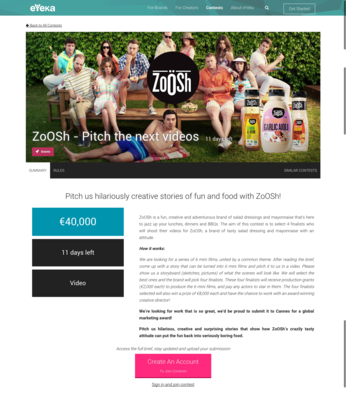 Three best video creators will share a prize of €15,000. ZoOSh, a salad dressing brand by Mondelez, looks for sharable videos dialing up its fun and humorous personality. The community of eYeka will need to find a way to make salad dressing fun. The winners of this project will share a total of €40,000 for their works. 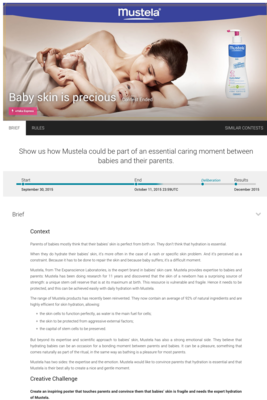 Mustela, the expert brand in babies’ skin care, challenged eYeka’s community to touch parents’ hearts with posters that convince them that babies’ skin is fragile and needs to be hydrated carefully. The total prize pool for winning ideas is €2,500. 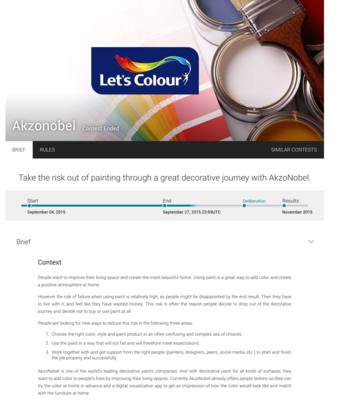 AkzoNobel, one of the world's leading decorative paint companies, launched a contest looking for innovative ideas to assure consumers that they will achieve the best end results when decorating with AzkoNobel paints. The total prize pool adds up to €5,000. With these new clients on board, eYeka has passed the milestone of 860 creative challenges launched on its global platform, in response to which consumers have submitted over 96,000 ideas and have been awarded more than €5,800,000 in cash prizes. eYeka's community currently has more than 336,000 creators from 167 countries across the globe. With offices in Europe, Asia and Latin America, eYeka keeps growing its customer base among brands who are looking to tap into the collective creative power of the crowd to source ideas and content to boost their marketing ROI.